Integrated search engine for the PubMed literature database, easy import of search queries and citation information from external data sources, manual input for non-indexed information and the option to integrate with third-party data sources. 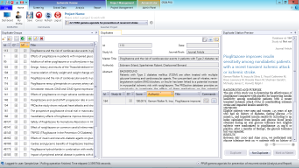 The latest advances in text mining allow the identification and eliminationof duplicates from multiple data sources in minutes while an internal library enables staff to preview all previously imported citations and copy in flexible single or double screen modes. 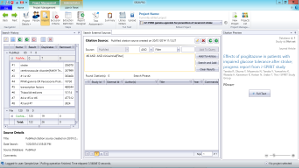 Automatic identification of conflicting extracted data enables the speedy resolution of differences while a fully customisable extraction grid,and the option for single or double data extraction, emphasise SRDB.PRO’s flexible design. 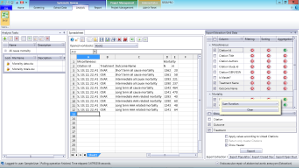 The ability to export data in a format compatible with multiple data analysis packages, simplifies the analysis stage of any systematic review. Powerful customisation tools and extensive reporting, data cleaning and export facilities ensure comprehensive access to data, whenever it’s wanted, in whatever format it’s needed. 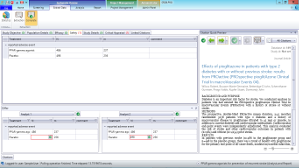 Project managers can monitor the entire systematic review process, from start to finish, from a single screen, produced customised statistics at any point and review project archives at any time, safe in the knowledge that automatic task allocation, confirmations and prompts mean nothing will be overlooked. SRDB.PRO is different. It offers a new approach to the process of systematic reviews and data analysis for the pharmaceutical industry, healthcare and health economics consultancies: an approach which is faster and more cost-effective than current solutions, no matter what scale of project is being undertaken. SRDB.PRO is the first enterprise level systematic review and data analysis platform designed specifically for the Pharmaceutical industry and healthcare consultancies. 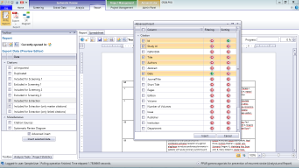 A truly comprehensive systematic review solution, SRDB.PRO supports all aspects of the systematic review process, from searches through to report generation. And all from a single software platform. 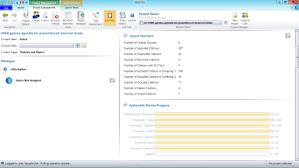 SRDB.PRO enhances productivity, increases accuracy and drives greater profitability by reducing the amount of time needed to manage and produce accurate reviews and secondary evidence. SRDB-PRO: It's Your Choice: externally hosted Software as a Service (SaaS) or a fully installed and integrated Enterprise version; a seamless part of your company infrastructure. With a no obligation trial of SRDB.PRO. Sign up by registering your details here. Buy either the hosted or installed product within two months of your trial period’s start date and we’ll apply an initial discount. We will also give you a further discount when you renew your operating license 12 months later. It's our way of saying we appreciate your custom.